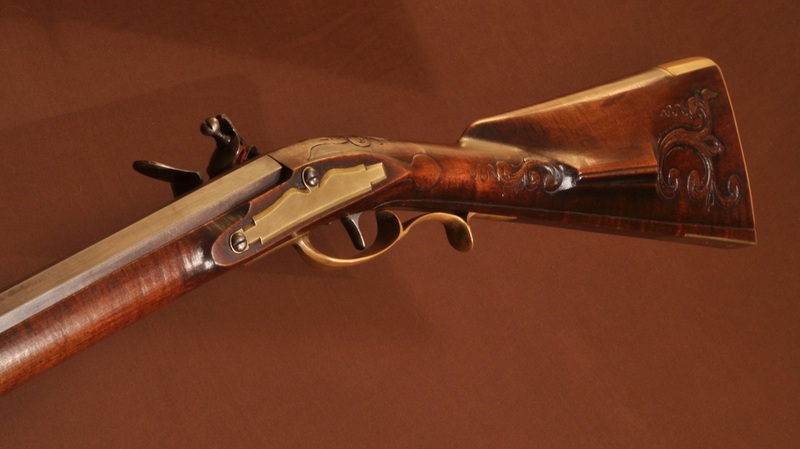 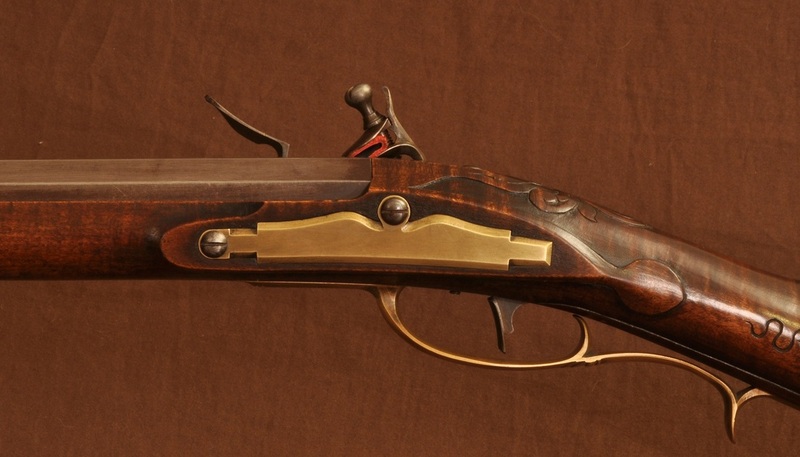 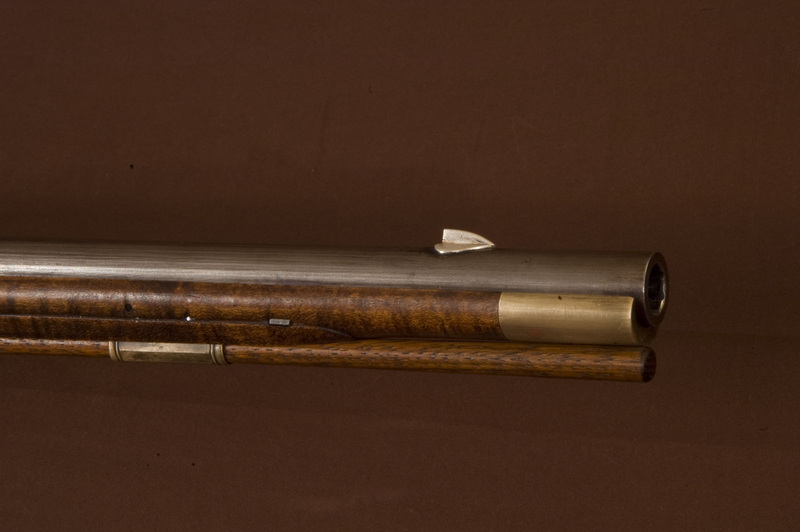 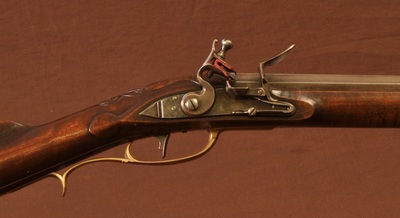 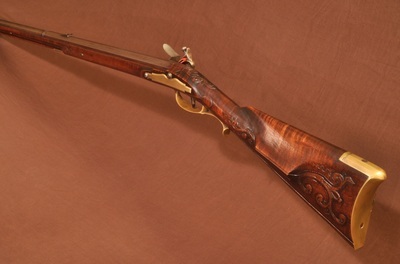 J. P. Beck was a master gunsmith who built rifles in Lebanon, Pennsylvania from roughly 1780 to 1811. 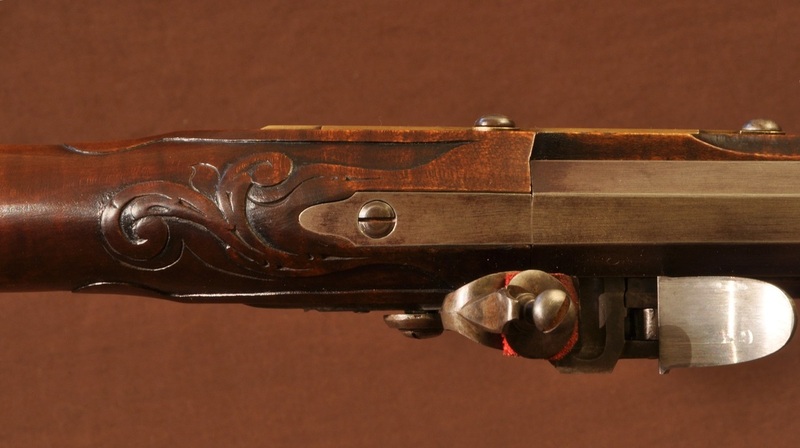 His works include several highly decorated long arms, fowling guns, and an outstanding brace of pistols that set the bar for quality in early American small arms. Though Beck built several elaborately bold and decorated pieces, the majority of his work shows a restrained and elegant mastery unique to his hand. 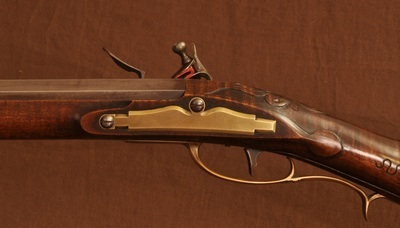 This rifle was built for a client who wanted an authentic and exact replica of a rifle he handled at an auction. The rifle is centered around a 50 caliber 47.5" Getz barrel, a hand tuned and case hardened small Siler lock, and stocked with a piece of sugar maple. The utmost attention was paid to authenticity with this piece, and the rifle includes many small details specific to Beck's work. 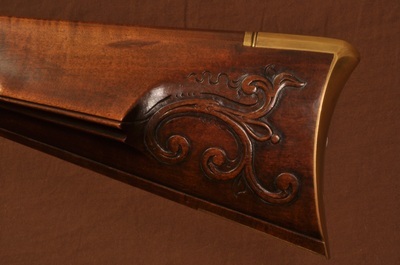 The stock was scraped and burnished, then finished with aquafortis and an oil varnish. 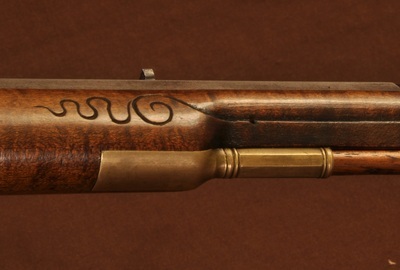 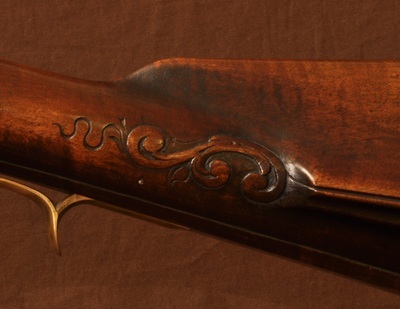 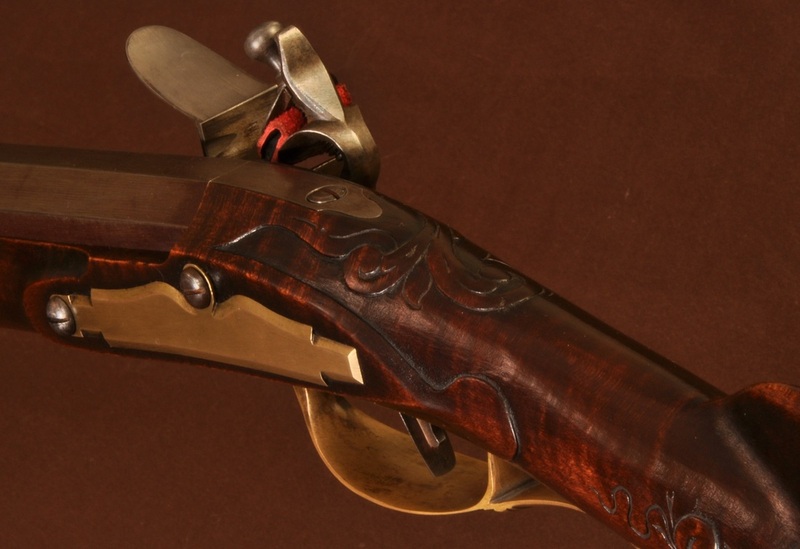 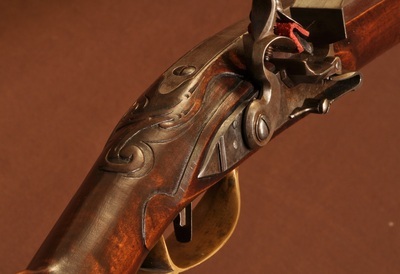 The entire piece was then given a subtle patina to highlight carving and architectural features of the rifle. 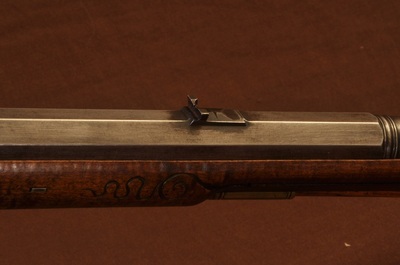 Despite the long barrel, the rifle balances just behind the rear sight and is a very comfortable stock to shoulder.